Manitoba’s long winter could drive up vehicle insurance rates. Had Const. Ryan Naismith not already been armed with a Taser, he would have shot Michael Langan with his pistol, an inquest was told Wednesday. A popular restaurant in the Centre Culturel Franco-Manitobain may have to find a new spot to serve breakfast. The national chief of the Assembly of First Nations says the key to success for aboriginal people is education — but the educators themselves need to get that lesson. A grandmother of one of the 12 babies that died tragically at the Health Sciences Centre in the mid-1990’s took Health Minister Erin Selby to task Monday. 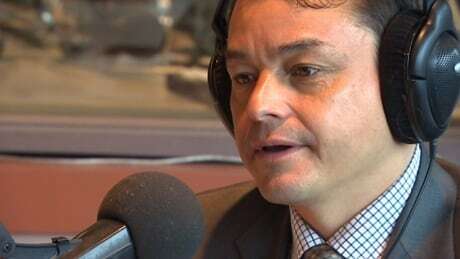 Ditch the bus, get light rail transit, says Winnipeg councillor CBC Article. DJ Mama Cutsworth Says Female DJs Are Still "A Novelty"
A retired geophysicist says a map of Winnipeg homes and businesses at highest risk of developing frozen water pipes suggests the problem cannot be caused by geology. A Lake Manitoba woman who saw a bantam hockey game turn into a brawl says the young players feel terrible about what happened but believe they were provoked by the referees. Conservative MP Steven Fletcher says he believes physician-assisted suicide is “inevitable,” on the same day he introduced two private member’s bills on the issue in the House of Commons. We hear from Winnipeg community leader Michael Champagne in part three of our series: Reconciliation: A new generation of aboriginal Canadians weighs in. A Winnipeg man made no excuses after a judge heard how he flew into a rage following an argument with his ex-girlfriend last fall and started throwing rocks at her house. Winnipeg Coun. Scott Fielding wants the city to spend its money on fixing roads rather than extending rapid transit. David Roberts has been found not guilty of aggravated assault for stabbing a man who sprayed him in the face with bear repellent. More details are emerging about the arrest of a Winnipeg police constable who is now facing multiple charges including two counts of sexual assault, breach of trust and extortion. Prosecutors are recommending a one-year jail sentence for a Winnipeg soldier who assaulted his girlfriend during a psychotic episode linked to his use of a controversial smoking cessation medication.